After the Nine Years’ War, pardons given to the Ulster Irish lords who had risen in revolt against the Crown suggest a power vacuum in the northern province and an impecunious state in no position to fill it. Attempts had been made to shire Ulster and impose English law from the 1580s, but following the Treaty of Mellifont in 1603 those attempts were redoubled, with predictable friction between native Irish and the Crown. When in 1607 the Flight of the Earls occurred, the property of Hugh O’Neill, earl of Tyrone, and his supporters became escheat. The government jettisoned its policy of appeasement and decided to ‘plant’ the forfeited lands with loyal settlers. In 1608 surveys of counties Armagh, Cavan, Coleraine, Donegal, Fermanagh and Tyrone were authorised, but instability persisted, nowhere more so than in O’Cahan’s former ‘country’ (i.e. County Coleraine, present-day Londonderry). As the implications of the forfeitures sank in, enthusiasm grew among prospective planters. Agriculture would be improved, lands could be settled by ex-soldiers who needed to be rewarded by the Crown and townships would be established, bringing order to ‘a rude and unreformed part of Ireland’. Francis Bacon (1561–1626) emphasised reasons for colonising Ulster, pointing out the province’s capability of receiving settlers from England, especially London. At the same time another plantation was under way, as in May 1607 the first colonists arrived in Virginia, a project with which citizens of London were also concerned. 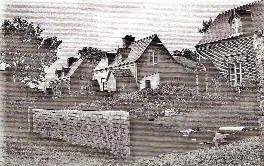 By 1609 ‘Orders and Conditions and A Project for the Plantation of Ulster’ had been prepared: lands were to be divided into ‘proportions’ distributed among three classes of grantee—undertakers, ex-soldiers or servitors, and ‘deserving’ Irish. Castles with bawns (fortified courts) were required on large proportions, stone houses and bawns on middle proportions, and bawns at least on small proportions. Problems soon emerged, not least the inadequate surveys, but it also became clear that the Crown lacked the means to implement the plantation plan, opting for colonisation-on-the-cheap. Moves were soon afoot to involve the City of London in O’Cahan’s ‘country’ between the Foyle and the Bann, with the southern boundary left unspecified. 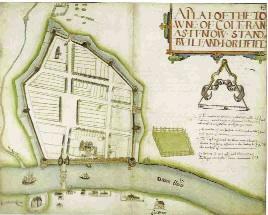 The County of Coleraine was a curious case, because its former lord, Sir Donnell Ballagh O’Cahan (d. 1626), had been incarcerated in the Tower of London. There was doubt about his title, however, so no individual would touch this territory. Conditions regarding the plantation were distributed to the London Livery Companies, who decided that the lands should be viewed to check whether claims about them were true. Almost at once difficulties arose, as some liverymen summoned by the companies did not attend and were duly fined. Others felt it best never to ‘entermeddle’ in the ‘busyness’, as it would be ‘exceading chargeable’ and legally suspect. More suddenly found the attractions of country life irresistible. At the outset, therefore, many of the companies showed little enthusiasm for investing in Ulster. 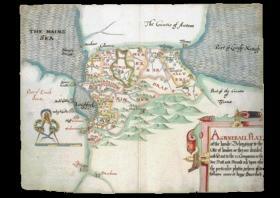 In 1609, despite some reluctance, four ‘wise, grave and discreet’ citizens of London visited Ulster. The lord deputy, Sir Arthur Chichester, instructed local officials to give the deputation every help, to ensure that they gained a favourable impression. Their guides chose attractive routes and comfortable lodgings. They were shown the main river valleys, the forests of Loughinsholin and much else. The liverymen soon made several demands over and above what had been offered: Loughinsholin, Co. Tyrone, with its dense woods, as these would be necessary for building purposes; lands on the Donegal side of the Foyle and on the Antrim side of the Bann to provide ‘liberties’ for the two proposed new towns (Derry and Coleraine); and control of Culmore Fort to the former. In turn, the Crown offered them patronage of the livings, all fishing rights, admiralty rights, and the extinguishing of all private rights and customs on all imports and exports. Still unsatisfied, they demanded that forces paid for by the Crown should be maintained in Ulster for defence purposes, and that a bill be presented to parliament to confirm all grants. In 1610 the City and the Crown signed articles of agreement. To pay for troops in Ulster, the hereditary Dignity of Baronets was founded in 1611. An overseeing body, the Society of the Governor and Assistants, London, of the New Plantation in Ulster, within the Realm of Ireland (later called the Honourable the Irish Society), came into being, consisting of 26 citizens of London. Lots were drawn to convey proportions to the twelve ‘great companies’, each of which had to found a settlement with a fortified house. Many proportions had access to the rivers and to Lough Foyle and Lough Neagh, but the Drapers and Skinners had landlocked estates. Indeed, the proportions of the Ironmongers, Drapers and Skinners were so fragmented that it is difficult to see how they could have been defended. The boundaries were not revised, as church or other lands could not be incorporated into company estates, and, besides, the machinery for change proved cumbersome. ‘Undivided lands’ passed to the Irish Society, giving it access to the sea. 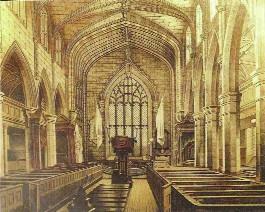 Sir Thomas Phillips (Limavady and surrounding areas), the Anglican Church and native Irish gentlemen acquired the remaining lands. Several proportions were let to ‘farmers’ for fixed terms and rents, but the Mercers retained direct control of their portion. The Crown tapped its new municipal tenants for more money, much of which had to be extracted by means of threats. The Londoners could not have known, for example, that, owing to the poor nature of the surveys, the official government estimate of 34,187 English acres supposedly comprising their lands actually consisted of 307,278 acres. So puzzled Londoners found huge estates where they had imagined they would have modest holdings. Despite the creation of a new county, Londonderry—comprising the County of Coleraine, to which parts of Donegal, Tyrone and Antrim were added—to emphasise its connections with the city of the same name, all was not well. Furthermore, the belief that settlers and servitors (retired soldiers) would surround the Irish proportions to keep them in order proved illusory. In Coleraine, Sir Josias Bodley, brother of the founder of the Bodleian Library, Oxford, had designed the fortifications, but plots remained empty for many years. The place would hardly have looked like a town at all, although the market square and Church Street had covered pentices called ‘piazzas’ all around it to protect the walkways from the atrocious Ulster weather. There is an intriguing connection here because we know that Bacon consulted Inigo Jones (1573–1652), who later designed the ‘piazzas’ at Covent Garden, and Bodley seems to have met Jones to discuss Ulster. In the countryside, however, the native Irish were not moved off the lands because agriculture would otherwise have collapsed. Many felt that the City lacked zeal concerning the plantation. After the death of James I and VI in 1625 his successor, Charles I, perpetually short of funds, leant on the Londoners for additional monies. Despite all its efforts, the City found itself dragged before the hardly impartial Court of the Star Chamber in 1635, found guilty of neglecting the plantation and fined huge sums. Moreover, the City had to surrender its patents to the Crown, which began to rack-rent the settlers. Many gave up and left. The king, however, had made a fatal mistake by alienating the Londoners. The City subsequently threw its not inconsiderable weight behind parliament, and in 1641 that body prepared to restore the Londoners to their estates. It was, of course, too late. 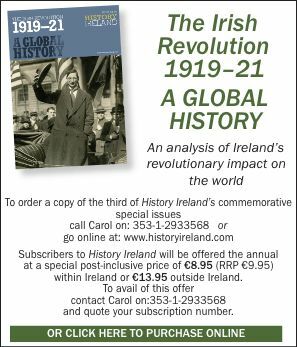 The native Irish rose in rebellion in October of that year. London supported parliament in the ensuing war, and Charles eventually lost his head. The débâcle of the plantation was very much a part of those events, yet it is usually ignored by Anglocentric commentators. Only after the restoration of the monarchy in 1660, and the new charters confirming the City in its ownership of lands, did gradual improvements begin to be made. Matters again came to a head when James II and VII lost his English and Scottish crowns. Aided by the ambitions of King Louis XIV of France, Irish Jacobites rallied in support of their wronged king and his cause, and unsuccessfully besieged Londonderry. It is important, however, to see what happened in 1689–91 as part of the history of European power struggles, and not as an unedifying sectarian conflict divorced from the wider picture. The relative peace of the eighteenth century witnessed slow reconstruction, but the City of London could not help its colony much for two reasons: it had been badly hit by the collapse of the South Sea Bubble (1720), and estates had been sublet under the curious system of ‘royal lives’, which meant that the Londoners did not regain direct control of their estates until 1820. The Revd George Vaughan Sampson (1762–1827), agent of the Fishmongers’ Company, emerged as one of the great figures in its later plantation history. 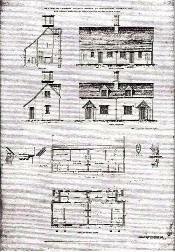 His Statistical survey (1802) and Memoir (1814) recommended that all estates should revert to the direct control of their proprietors; that all absenteeism should end and that there should be a residential class of gentlemen to oversee improvements (this prompted the companies to appoint men of substance as agents); that subdivision of farms and rack-renting should stop; that all small farms should be amalgamated to form establishments of 20–200 acres; that dependence on one crop (e.g. the potato) should cease; that all rents should be reduced to reasonable levels; that leases should be extended; and that many other reforms and improvements, including a programme of tree- and hedge-planting, should be implemented. Thus Londonderry escaped the worst ravages of the Famine largely through Sampson’s foresight, and the Londoners eagerly embraced his ideas once they regained control. Imbued with evangelical zeal, they built model farms, schools, dispensaries, model dwellings, churches and meeting-houses for all denominations. Between 1846 and 1848 the Irish Society also constructed its handsome Agent’s House at Termonbacca to designs by Sir William Tite (1798–1873), where members of the deputations from London stayed during their regular visits. Coleraine’s new town hall, embellished with roundels, also made the London connection plain. Many company estates acquired new and handsome buildings and made vast changes to the countryside with a replanting programme. So the period from the end of the French wars until the 1870s saw immense investment, a genuine attempt to make the proportions places where peace and prosperity would reign. Professor James Stevens Curl is Honorary Senior Research Fellow at Queen’s University, Belfast. J. Stevens Curl, The Londonderry Plantation, 1609–1914: the history, architecture, and planning of the estates of the City of London and its Livery Companies in Ulster(Chichester, 1986). J. Stevens Curl, The Honourable the Irish Society and the Plantation of Ulster, 1608–2000: the City of London and the colonisation of County Londonderry in the province of Ulster in Ireland. A history and critique (Chichester, 2000). G. Vaughan Sampson, Statistical survey of the County of Londonderry, with observations on the means of improvement drawn up for the consideration, and under the direction, of the Dublin Society (Dublin, 1802). G. Vaughan Sampson, A memoir, explanatory of the chart and survey of the County of Londonderry, Ireland (London, 1814).